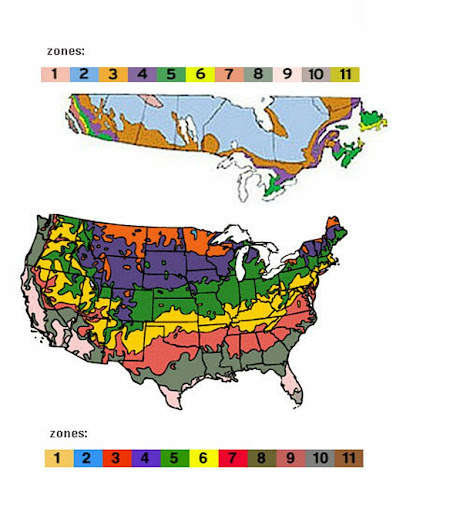 Buyer Beware: Compare the seller’s claims about hardiness zones against the plant’s natural habitat. While it may survive, it’s not likely that it will do well outside of the hardiness zone associated with its natural habitat. Remember that this is a cold climate plant and it’s still not known how far south it can be grown. These plants were developed by Dr. Bob Bors from the University of Saskatchewan from Russian varieties and are suited to the colder climate areas of Canada and the US. Although they carry the Haskap name, as yet they contain no genetic material from the Japanese varieties on Hokkaidō in Northern Japan. Per Dr. Bors: “In 2007 we released two named varieties ‘Borealis’ and ‘Tundra’ and 3 test selections; 9-91, 9-92 and 9-15. These 5 are Russian / Kuril-Island hybrids.” (Growing Haskap in Canada, page 3) Dr. Bors indicates that he is now working with Japanese genetic material and crossing it with Russian and Kuril germplasm. Boughen Nurseries Ltd. (Scroll down) Retail. The scoop on ‘Boughen Nurseries’ here. Discovery Trees (Scroll down) Retail. Gardenworks Retail, walk in only (British Columbia), no mailorder. Haskap Central Sales More wholesale than retail. The scoop on ‘Haskap Central’ here. High Mountain Farm. Located in Salmon Arm BC , High Mountain Farm is a seller of fresh haskap berries and plants. LaHave Natural Farms Retail and wholesale. Luc Lareault Nursery More wholesale than retail. Niagara Lavender Farm Appears to be fruit only. Phytocultures Ltd More wholesale than retail. Prairietech Propagation Wholesale. Ships to the US but you pay the cost of the phytosanitary certificate. Vesey’s Retail. The scoop on ‘Vesey’s’ here. Berries Unlimited Wholesale and retail. The scoop on ‘Berries Unlimited’ here. Fedco The scoop on ‘Fedco’ here, here, and here. Honeyberry USA The scoop on ‘Honeyberry USA’ here. J.W. Jung Seed Company The scoop on ‘Jung Seed’ here. St. Lawrence Nurseries The scoop on ‘St. Lawrence Nurseries’ here. The Tree Farm Retail, walk in only (Longmont, Colorado), no mailorder. These plants were developed by Dr. Maxine Thompson from Japanese Haskap varieties and are suited to the more temperate climates of the pacific northwest. They contain only genetic material from the Japanese varieties of Northern Japan. The Russian varieties have a very short chilling requirement which may be satisfied by November in the pacific northwest. If warm temperatures occur, they will begin to grow and flower when no pollinators are available. A subsequent return of cold weather could damage them. These plants bloom 3 weeks later than most of the Russian varieties. They are being grown successfully as far south as the Kentucky/Tennessee border which is USDA Zone 6b. These plants were introduced to North American from Russia by Jim Gilbert of One Green World in Oregon. Their website recognizes the problems of short mild winters for some varieties and offers early and late blooming varieties. Henry Field’s The scoop on ‘Henry Field’s’ here. The Saskatoon Farm The scoop on ‘The Saskatoon Farm’ here. Bergeson Nursery The scoop on ‘Bergeson Nursery’ here. Berries Unlimited The scoop on ‘Berries Unlimited’ here. Burnt Ridge Nursery & Orchards The scoop on ‘Burnt Ridge Nursery’ here. Farmer Seed and Nursery The scoop on ‘Farmer Seed’ here. Gurneys Seed and Nursery Co. The scoop on ‘Gurneys’ here. Michigan Bulb The scoop on ‘Michigan Bulb’ here. Miller Nurseries The scoop on ‘Miller Nurseries’ here. One Green World The scoop on ‘One Green World’ here. Proven Winners The scoop on ‘Proven Winners’ here. RainTree Nursery The scoop on ‘Raintree Nursery’ here. Rolling River Nursery The scoop on ‘Rolling River Nursery’ here. Territorial Seed Company The scoop on ‘Territorial Seed Company’ here. Mr Fothergill’s See customer feedback here. Thompson & Morgan The scoop on ‘Thompson and Morgan (UK)’ here. More customer feedback here. If you are aware of a seller who is not on the list and would like to be added, please fill in the form. just to let you know that we have been selling honeyberry (One Green World japanese var’s) for the last 8 years and the UofSask ones for the last year or so. we are retail, walk in only, no mailorder. Many other local retailers are also picking up on these now. We had good success with our shipments from Canada for distribution to the US market, with more than a 98% survival rate for the U of S haskap and about 93% for the Berry Smart Blue Honeyberry (same as Berry Blue(TM)). We take orders year round for spring and fall shipping. -HoneyberryUSA. Thank you. I’ve added them as a US supplier of Borealis and Tundra. The newest Haskap variety from the U of SK, ‘Aurora’. is half Japanese (Hokkaido) and half Russian. It was distributed to propagators starting fall of 2012 and likely not much will be available until 2014. Likely in 2 years there will be others released that have Hokkaido Haskap in their lineage. Regarding Kurile Germplasm: The Kurile Islands used to belong to Japan but Russian took the islands after WWII, but that’s a lhistorical reason to call them Haskap. I suspect they are from the mountains of the Kurile Islands. Plants from that germplasm resemble Haskap plants from mountains in Hokkado (which I saw in collections when visiting) and Northern Honshu. There are also similar looking plants found in Eastern Canada. As a general rule it is best to consider that plants from a more southern location are better suited for the south, However, the Kurile plants are the last of the Edible Honeysucke/kurile types to flower and are less likely to bloom too early during warm days in winter. So even though they come from a bit farther north, they likely can be grown farther south than Hokkaido haskap. Kurile hybrids have more resistance to sunburn and mildew which can be expected from a high elevation plant since there is more UV light to cause damage in higher elevations. 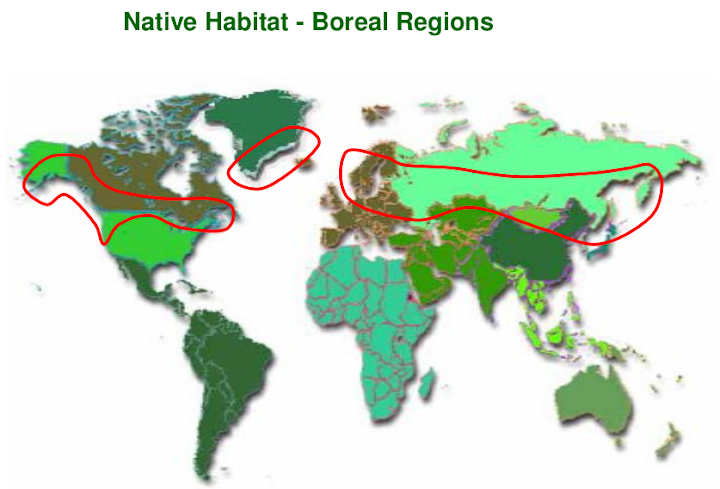 Unfortunately, the original Kuriles aren’t very productive (easily 20% or less than most Russian or Japanese types) but I do believe that using them in breeding will someday extend the growing range farther south.